This is the classic story of how not finishing first -- or second, or third -- or not even technically completing a racing event can still represent a triumph and be a touching story of true grit, determination and, above all, of selfless devotion to a cause. That is exactly what happened a couple of weeks ago in the "badlands" of Baja California. In the afternoon of November 13, Houston couple Kay and Greg Crouch drove their HeartGift Baja Bug across the Ensenada, Baja California, starting line pretty much on schedule. They were about to tackle one of the harshest, most unforgiving and dangerous (there have been several serious accidents and, sadly, at least one fatality in the race's history) off-road races in the world: the 1,278-mile long SCORE Baja 1000. That Thursday afternoon, the Crouches could have been comfortably sitting in the offices of their Houston-based Crouch Environmental Services doing what they do best, providing consulting services on tough environmental and public communications problems. Part of their company's motto reads, "It is the problem-solving capability that matters and it is why we exist. It is why we love what we do." Those problem-solving capabilities would come in very handy during the next 44 hours of non-stop driving their Baja Bug #579. For it would be a wild ride through and over steep hills, deadly mountain trails, silt beds, sharp rocks, deep desert washes, narrow cattle guards and flowing streams. All this on top of contending with early pit closures -- resulting in not getting refueled -- and suffering mechanical problems and breakdowns. Driver of record Kay Crouch remembers, "at first, everything was going well." 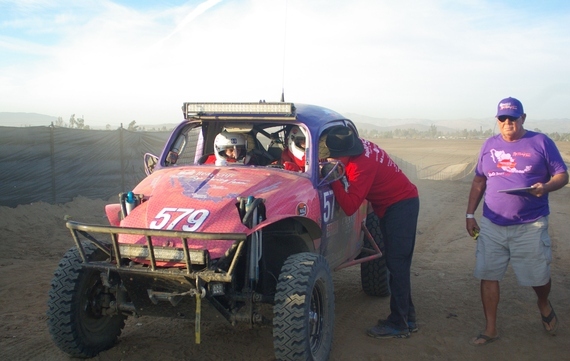 But then, at about race mile 50, they began to experience mechanical problems with the Baja Bug and suddenly the clutch cable broke. The Baja 1000 race is famous and notorious for its good Samaritans and not-so-good ones, respectively. The Crouches got a taste of both, all at once. 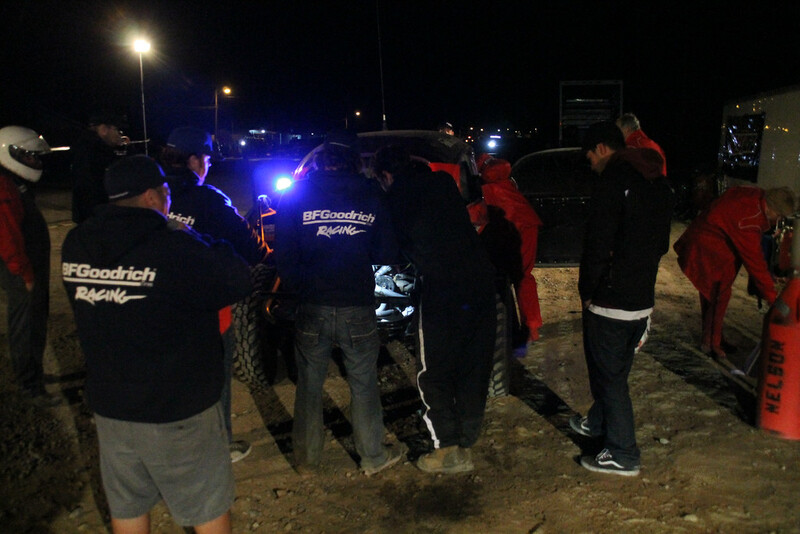 When the clutch cable broke, a group of spectators jumped in to help fix the problem. However, "as payment, they ran off with our MaxTrax and our new snowmobile skids that we needed to get un-stuck from the silt beds," says Kay Crouch. With another 1,200 miles to go and no equipment to help them get "un-stuck" out of the many silt beds still ahead, the situation looked pretty grim. At this point, readers may ask, "Why go through all this agony, take all this risk?" Well, in their "other life," the Crouches are founding Board members of the Houston Chapter of HeartGift, an organization that has already saved the lives of more than 230 little patients from more than 30 countries through life saving surgery performed in the U.S. to correct congenital heart defects. Many professional drivers and celebrities participate in the race. Some do it for the thrills, the competitive spirit, the fame, etc. The Crouches, however, are doing it to -- through HeartGift -- give little children in faraway countries a second chance at life. You see, through pledges, every additional mile of tortuous driving means additional donations to HeartGift. 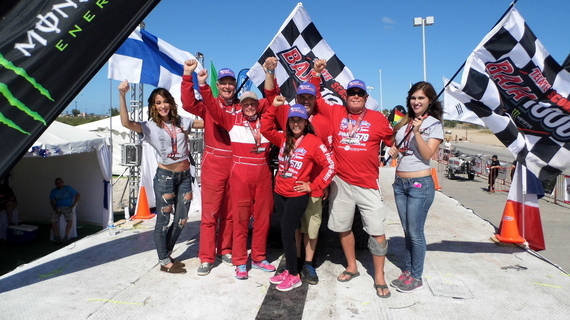 That thought kept running through the minds of the HeartGift Team every time they encountered obstacles and setbacks during those long 40 hours out on the Baja Peninsula. 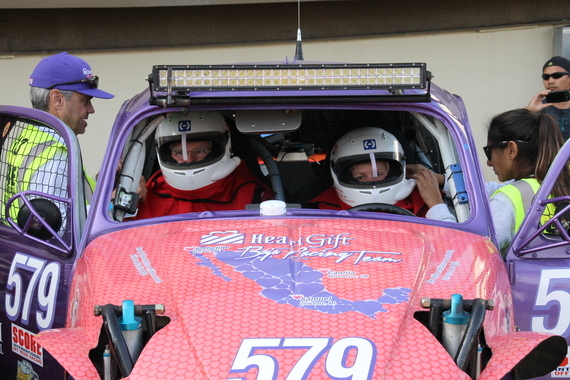 Our mission was to drive this race for HeartGift. The kids and their parents don't give up. They are scared - just like we were. They face obstacles that seem insurmountable - just like us. They feel hopeless sometimes - just as we felt. And yet, against all odds, they manage to bring their children to the U.S. and entrust them to HeartGift and to the associated surgeons and medical staff -- their last chance, their last hope. These children and their parents were our motivation and our inspiration. We just WOULD NOT QUIT, no matter what anyone said or did. 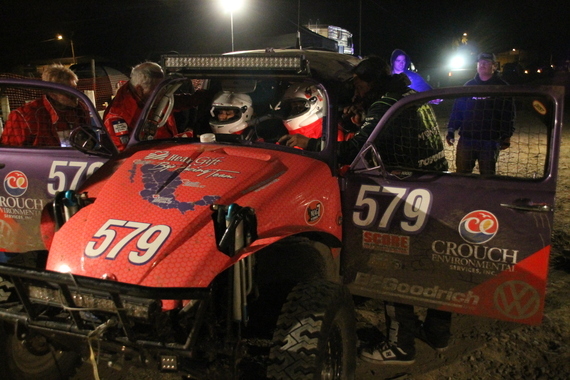 We were determined to get Baja Bug #579 to the finish in La Paz, just as we said we would! And that they did, but not before suffering additional mechanical problems, having to be towed, arriving at closed refueling and tire-changing pits and having to drive "like a bat out of hell" to make it to the next checkpoint and to the all-critical refueling pits. Sometimes the HeartGift Baja Racing Team made it, sometimes they did not, but persevere they did --for the kids. Finally, 40 hours after they left Ensenada, after grappling with a grueling 1,278-mile course, after 48 hours without a wink of sleep for the entire HeartGift team and after what seemed to be an eternity of fighting fatigue, the elements, the desert and mechanical problems, the Crouches crossed the finish line in La Paz in their little, neon pink and purple HeartGift "Baja Bug." Speaking about her courageous and dedicated team, Kay Crouch said, immediately after the race, "We are tired, sore and still trying to re-live every moment and piece this together, as we all have different memories and were involved in different situations throughout this long race." But one thing they all agreed on is that it was the thought of the little children with heart defects and the HeartGift mission that pulled all of them through. Kay Crouch: "This is a life-changing event that tests every fiber of your being. It would be so easy to throw in the towel. Many, many racers in this race did just that after just one setback. We were completely unwilling to chuck it in - ever." Thanking every person who supported and cheered for the Team, Kay says, "It is not a small thing to launch a little race car off the start line at the Baja 1000 and to drive it over the finish line in La Paz. I am so grateful to have had that opportunity. We made many friends; we raised awareness for HeartGift, and we bonded with and supported one another in a race that is a perfect metaphor for life itself." She concludes, "We had moments of triumph and joy, fear and terror, heartbreak and defeat, frustration and despair; we experienced miracles, and we had the opportunity to observe the true source of power that is the human spirit. I feel blessed." Yes, victory is much more than merely coming in first -- it is how you run the race and what you're racing for. The HeartGift Team just proved it. 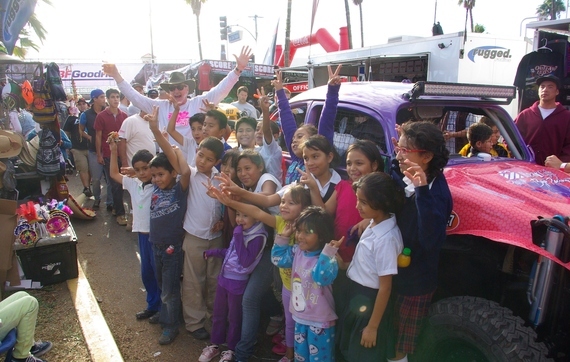 It is expected that the HeartGift Baja Team will have raised approximately $52,000 when all the pledges and direct donations are in. Several organizations and individuals donated an additional $27,000, including $20,000 by Crouch Environmental Services, Inc.
HeartGift's average contribution to each child sponsored for life-saving heart surgery is approximately $25,000. To learn more about this unique and wonderful organization and to donate, please go to www.heartgift.org or click here. Kay Crouch, Driver of Record; Greg Crouch, Co-Driver; Ken Meador, Co-Driver; Rick Morris, Co-Driver; Diana Morris, Co-Driver.